Did this set of super loud leopard print nails for Angeline on Fri! I’ve been doing too many leopard nails so we decided to change the design so it wouldn’t look too boring. Also, she wanted some rhinestone on it and it would appear kinda weird if I had them placed randomly around the prints. Hadn’t been creating new designs and my customers have been choosing from my old template since god knows when! (Thanks to procrastination) So sorry girls -_- So I finally sat down one night and created some new designs! 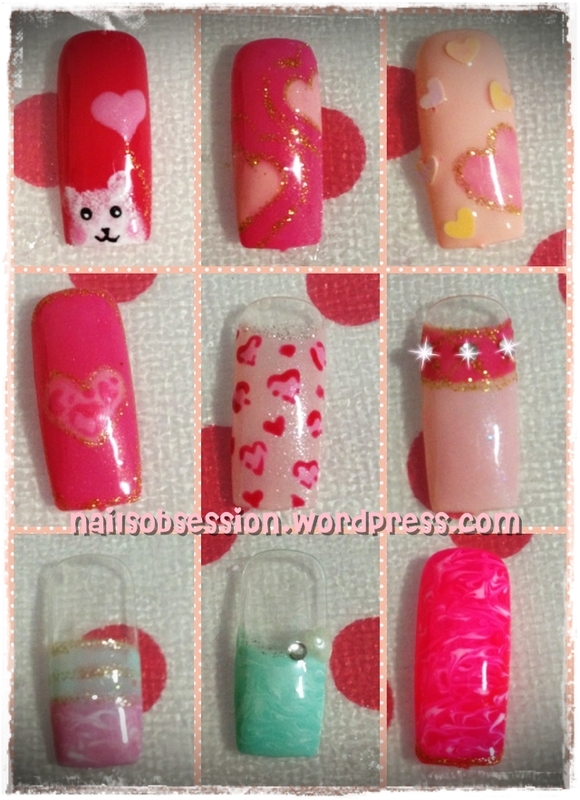 Some of the designs below are inspired from Nail Max Feb 2012 (my favourite nail mag!!) 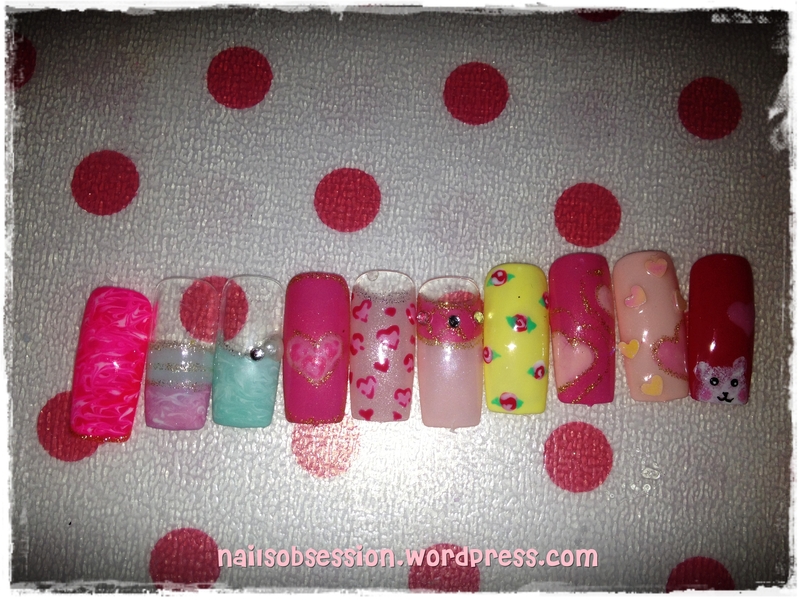 They have really great designs and each edition caters to suit the nail season, that’s why I absolutely ♥ picking designs from this magazine and do a slight modification on my own. Check out our FB page for more! P/S: I hate that vignetting effect, just playing around with my editor and realized the photos looked too dark after I posted them and I’m too lazy to re-edit lol. Babe the leopard hearts in gelish you would be charging how much ?